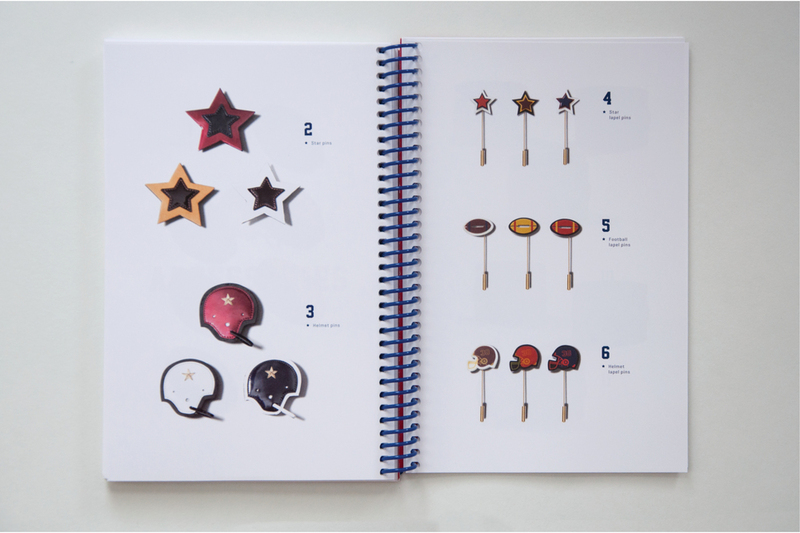 Tommy Hilfiger’s Runway Collection is an American Love Story – fusing iconic styles with a vibrant game day spirit. Reflecting on the 30-year heritage of his brand, the collection plays with the established codes of American sportswear reimagined with a modern football twist. Let's kick things off with the playful athletic concepts and graphics from this season's biggest player in the game of fashion and design. 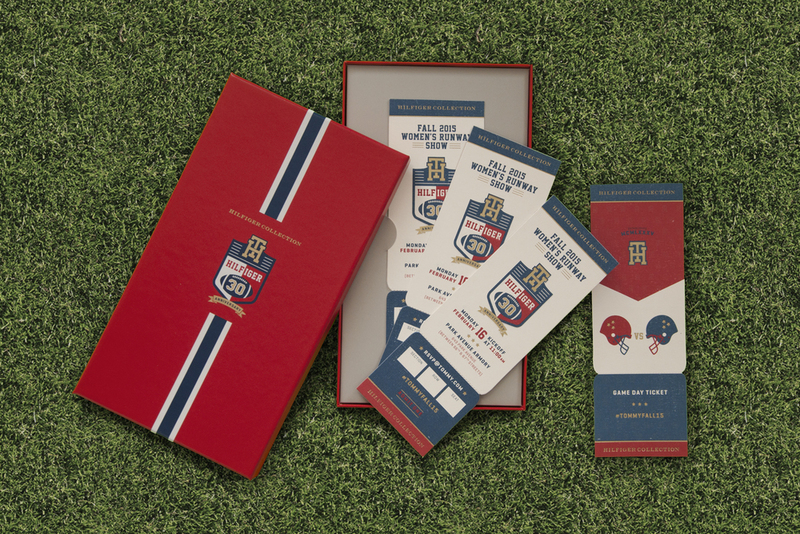 Tickets to the big game in NYFW! Pre-game set-up and coaching playbook. Models warming up for the big game on the runway. The touchdown finale for the WIN! 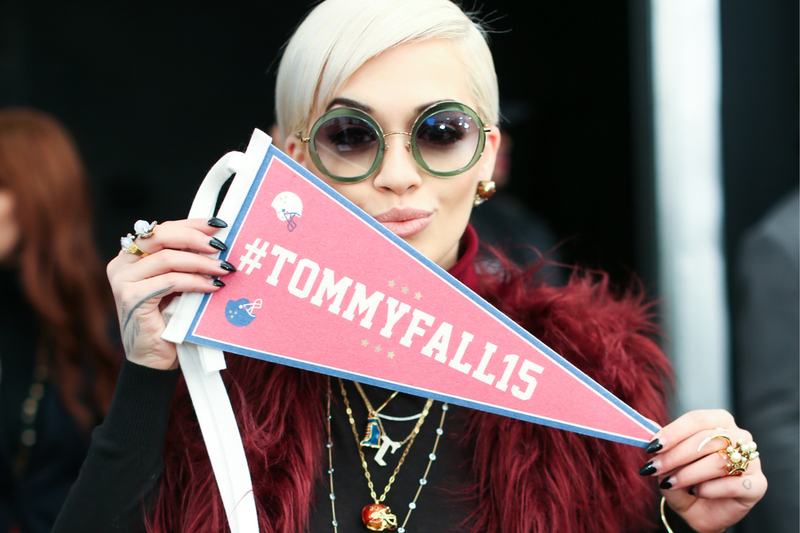 Rita Ora waving her pennant for team Tommy! Anna Ewers for the kickoff! Quarterback Gigi Hadid in her leather poncho jersey. Jourdan Dunn gets it done for a tackle finish.